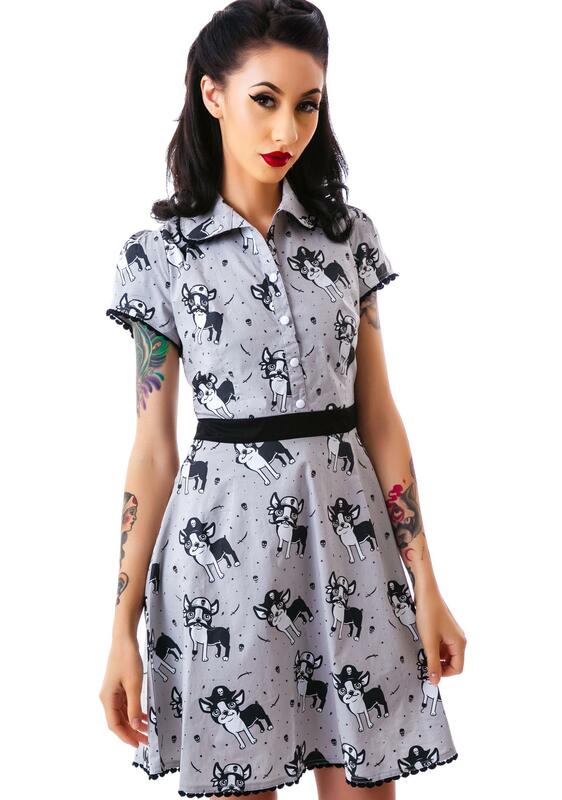 Sourpuss Rizzo Puppies Dress you make us want to howllll at ya. 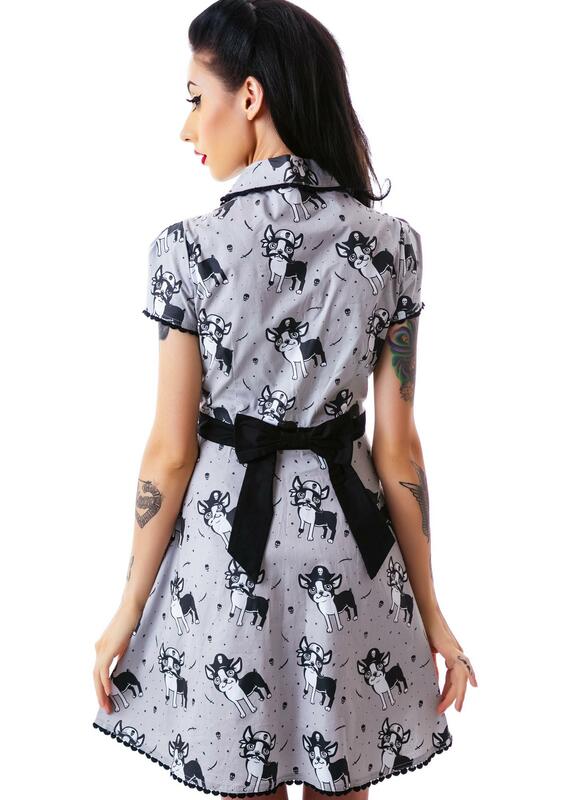 Especially when yer wearing a fun and flirty dress featurin some scallywaggin puppy pattern bound to get ya into a little trouble. 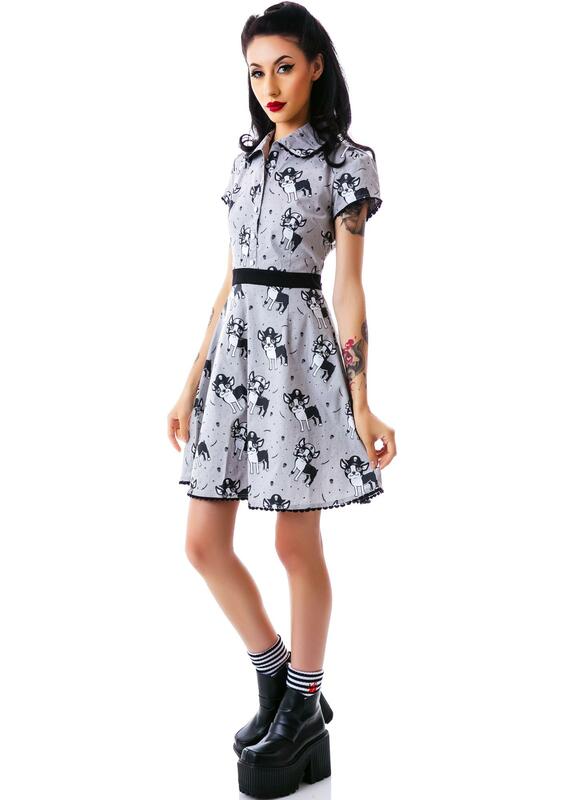 This swing dress cant help but flatter with its fitted bodice, flared skirt, and waistband making ya look babelicious. 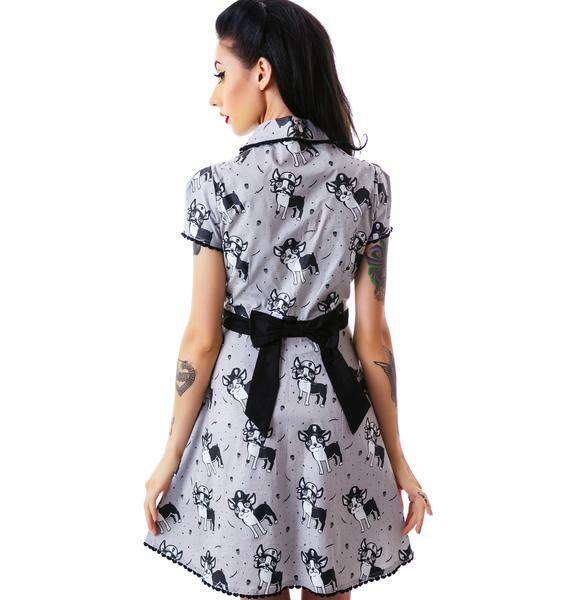 With adorable deets such as a rounded collar, cap sleeves, and hem that has a scalloped trim, youll be a doggone cutie doll.